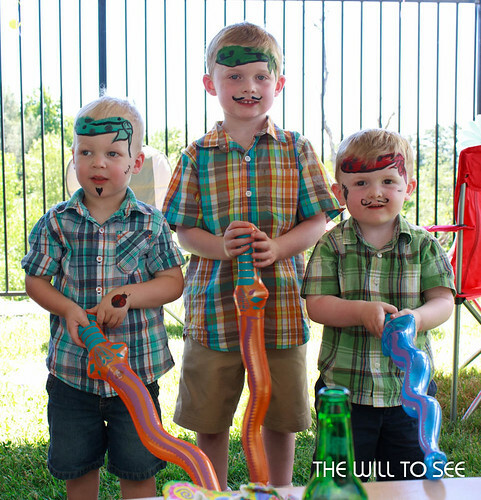 At a birthday party last Sunday the boys got their faces painted. Will was the first to go and didn’t need to be coxed at all; surprisingly he sat very nicely. Then Jack decided it was OK. Cousin Oliver took a bit more encouragement, first getting a lady bug on his hand. I wouldn’t want to cross this bunch on the open sea. Side note: When they went to bed that night there was still a paint shadow on all foreheads, even with lots of scrubbing.